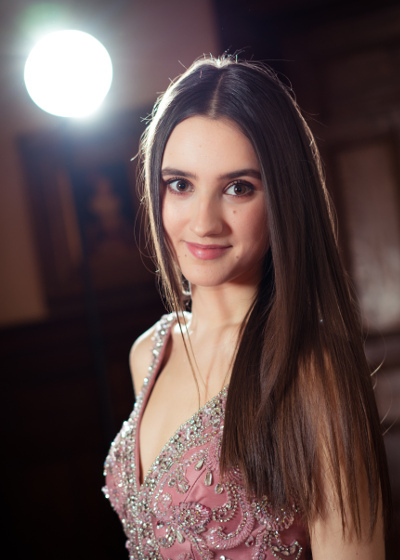 I am a 17-year-old Classical Soprano. As well as performing in the UK and overseas, I am passionate about animal welfare. My passion for wildlife comes from my grandmother, who actively supported Born Free. As a young girl, she made me aware of how important it is to protect vulnerable wild animals and keep them in their natural habitat. All wild animals need our help more than ever now and I want to grow up in a world that respects and cares for them. I want to be a part of the change that is needed to educate people. As Education Ambassador I particularly want to visit the schools and communities that Born Free supports. The work being done there makes these people the future stewards of their own environment. One of these, the Kanjoo School in Meru National Park Kenya, is the historic homeland of Elsa and also contains two of my favourite animals, Lion and Elephants. I agreed to become a Youth Ambassador because I want to be part of the future of our wildlife. I want to grow up and live in a world that respects and cares for all creatures, large and small. I want to help get the message out to everyone, especially young people, that we must do all we can to protect wild animals, so that future generations respect and live in harmony with all animals.